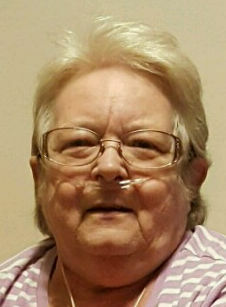 Obituary for Patricia Ann Barber | Family Care Services, Inc.
Patricia Ann Barber,70, of Washingtonville, passed away on Friday morning, March 29, 2019 at Salem Regional Medical Center with her family by her side. Patricia was born January 25, 1949, in Salem, daughter of the late Carl and Imogene Vineyard. She was a Cashier at Duke and Duchess Gas Station and Dairy Mart both in Columbiana. Patricia loved animals especially her pet cat, Kitty Cat, her horse, Tank and her pony, Stormy. Patricia is survived by her daughter, Mary Burt of Leetonia; and two grandchildren Brittney and Dale Burt. She was preceded in death by a son Jack Jeffreys, Jr. and two brothers Dwayne and Jerry Vineyard. Per her wishes no services will be observed. Arrangements were entrusted to the Woods-Rettig Funeral Home.